In a conversation with Stanford News Service, Scott Hubbard, a Stanford professor and former NASA official, explains how NASA might bring the Kepler spacecraft back online. NASA officials announced Wednesday, May 15, that the Kepler space telescope – the agency’s primary instrument for detecting planets beyond our solar system – had suffered a critical failure and could soon be shut down permanently. How big of a loss will it be if the Kepler space telescope can’t be repaired? The science returns of the Kepler mission have been staggering and have changed our view of the universe, in that we now think there are planets just about everywhere. How might NASA engineers go about getting Kepler functional again? If neither of these options works, Kepler is still an amazing space instrument. Could it conduct other types of experiments? People have asked about using it to find near-Earth objects, or asteroids. Kepler carries a photometer, not a camera, that looks at the brightness of stars, and so its optics deliberately defocus light from stars to create a nice spread of light on the detector, which is not ideal for spotting asteroids. What’s next for exoplanet hunters? As I said earlier, there is still a year and a half’s worth of data in the pipeline to analyze to identify candidate planets, so there are still discoveries to be made. 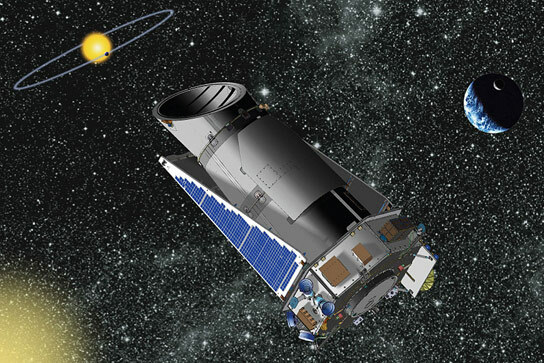 Be the first to comment on "How NASA Might Revive the Kepler Space Telescope"